Yovel board member Sara Levine makes pickles at a Yovel event. NEW YORK (Aug. 1, 2013) — According to traditional Jewish theology, there are two types of mitzvot, or commandments. There are those that are beyn adam l’chavero — between people — and there are those that are beyn adam l’makom, between people and God. However, I invite you to consider an alternative interpretation to mitzvot that are beyn adam l’makom: Since the word makom means place, what if these mitzvot — daily rituals that connect people to the divine — were understood as actions between people and place, literally, between us and our environment? Wherever we are, in whatever makom we find ourselves, God is there. From this perspective, every place is sacred ground and an opportunity to invite holiness into our lives. What if we infused even the most seemingly mundane circumstances with divine awareness? 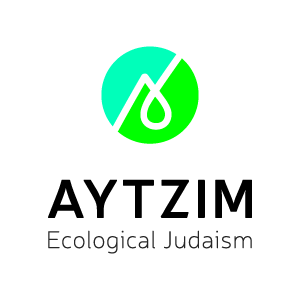 For the last two years, Yovel: the Green Zionist Alliance @ NYU has been trying to embody the relationship beyn adam l’makom, the sacred responsibility between humankind and the world around us. Yovel is NYU’s first spiritual environmentalism club. We are a non-denominational group of students: artists, farmers, intellectuals, environmental activists and questioners. On paper we are trying to “foster an environmentally minded community that cares about nature, food justice, peace and spirituality on campus New York City, Israel and the world.” What does that actually mean in the real world? What have “Yovelians” done in the past two years? Are we just a bunch of hippies getting together playing guitars and eating vegetarian food? Sometimes. Yovel was spreading light long before it was a club. The individuals that eventually made up the club’s founding members had been living out Yovel’s mission and trying to spread it within the East Village and NYU community. However, there was something that wasn’t quite integrated. We were active members of NYU’s environmental clubs and separately involved in the already established NYU Jewish community. Yet our Jewish and spiritual lives were largely separate from our campus lives. Many of us didn’t feel empowered by the Jewish offerings around campus so we did our own thing, explored different communities in Manhattan and beyond. Eventually, we began to find one another and it became clear that if we wanted a Jewish-environmental community, we would have to build it ourselves. In two years, Yovel has hosted two Tu B’Shvat seders with ceremony, ritual, music and intention. Students and non-students, Jews and non-Jews gathered on the floor of a Yovelian’s apartment and shared their intentions, dreams and fears. We ate delicious food and sang songs together. Yovel has hosted a tea-making gathering, where a trained herbalist came and taught students how to make tea infusions. Yovel members have come together to learn Torah, such as the connection between vegetarianism and Judaism. 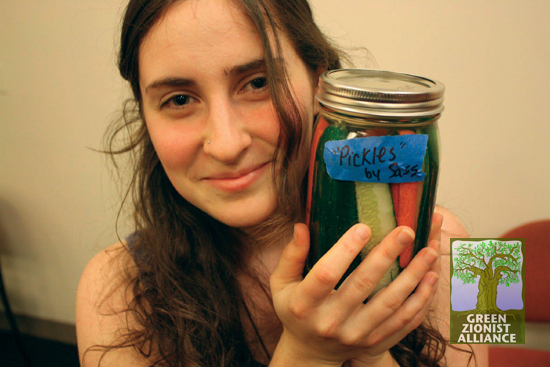 We hosted Jewish farmers and taught students the art of fermentation: Yovelians made more than 60 jars of homemade pickles as we learned about the connection between food preservation and spirituality. Yovel has organized the donation of thousands of pounds of leftover food from Jewish events on campus. Yovel has gone on hiking trips, coordinated Shabbat meals and hosted speakers that are experts in the fields of environmental activism. And only a few months ago, Yovelians planted the first seeds of Yovel’s new garden in the backyard of the Bronfman Center. The garden represents everything that Yovel is and strives to be, a community of individuals that are living Tikkun Olam, the healing of the world — that being environmentally aware and spiritually connected are one in the same. Our Judaism is not a Judaism that lives in a book: It lives in our hands that are covered in soil, blessing the land that provides us with life. It lives in our minds that contemplate how we can make the world a better, kinder, cleaner place. It lives in our voices that sing and chant without fear, and in our bodies that we fill with healthy food and that we dance ecstatically as we pray. This is a Judaism that is alive and exciting, a Judaism that is both ancient and new. This is Yovel. Yael Schonzeit is the vice president emeritus of Yovel: The Green Zionist Alliance @ NYU. "Noah, when I told you I would destroy the entire world, I lingered and delayed, so that you would speak on behalf of the world." More than a thousand Israelis die every year from cancer caused by air, ground and water pollution.